I will not cry for I am a champion. My heart is not made of ice, or made of fire. Adam and Eve's ancient sin I will fight. I shall quit my fighting for her, so I don't die by the sword. 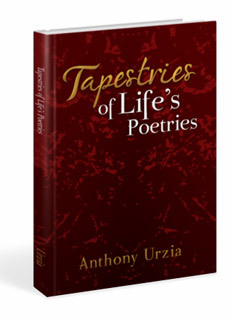 A literary interplay of lyrical prose and metrical verses harmoniously weave together in Tapestries of Life’s Poetries, a posthumous anthology craftily weaved by poet Anthony Urzia. Like an orchestra conductor flawlessly leading a symphony of rhymes, tempos and stanzas, Urzia regales the reader with one poem after the other. Most of Urzia’s works talk about his suffering and torment as he struggled in his desire to be free of pain. He was searching for answers and sought guidance in religion. He sought motivation by reading the Bible and most of his poems also reveal his spiritual side. Both the lyrical and spiritual are traversed by Urzia in the interstices of this splendidly-spun anthology. While on drugs, Anthony was not the same person anymore. Drugs really changed him. About four years after abusing drugs, he was diagnosed with psychosis and schizophrenia, a mental illness that no mother wants to watch her child go through. 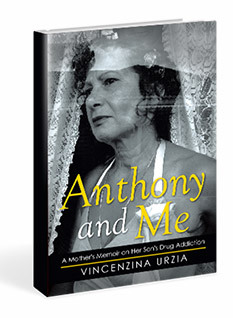 Anthony’s death took a heavy toll for a mother like Vincenzina. She is still struggling to accept the fact that her son is gone forever. She could still feel the pain and loss from deep inside her heart.